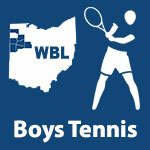 Tennis Boys – Page 2 – WBLSports.com | The Official Site of the Western Buckeye League for wbl news, wbl scores and wbl standings. 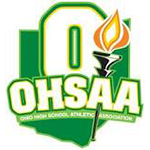 State Qualifiers: Four singles and Four doubles team winners will advance to the State Tennis Tournament at The Lindner Family Tennis Center – Mason, Ohio on May 25th and May 26th. Congrats to Shawnee and Ottawa-Glandorf on sharing the 2018 WBL Boys Tennis Championship. Shawnee won the regular season with a perfect 9-0 record and Ottawa-Glandorf won the tournament with 44 points.